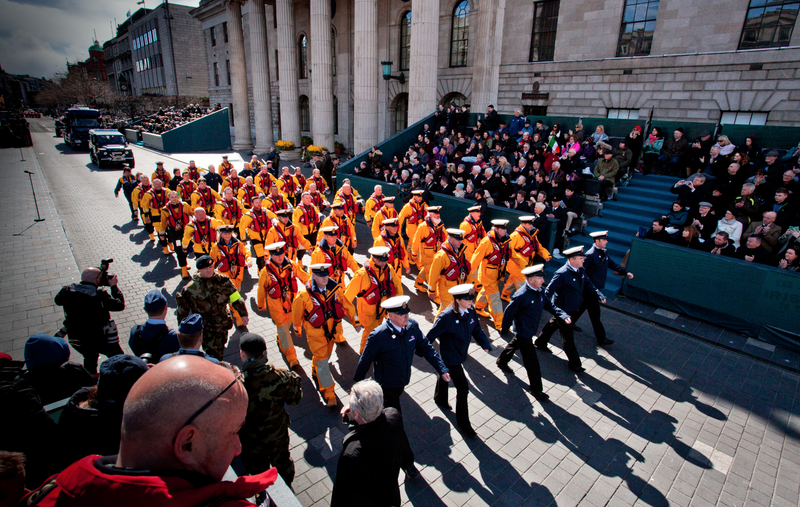 RNLI volunteer lifeboat crew from across Ireland took part in today’s (Sunday 27 March 2016) Easter 1916 centenary commemoration which saw over seven hundred members of the Irish emergency services taking part in the biggest parade in the history of the state. 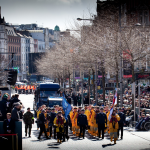 The fifty RNLI volunteers came from twenty-nine lifeboat stations around the Irish coast and inland to parade through Dublin City Centre to mark the centenary of the Easter Rising in 1916. 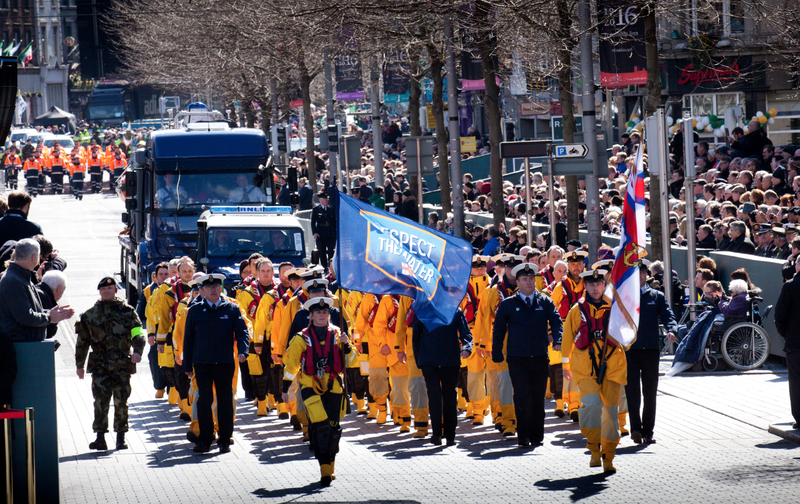 The RNLI formed part of the emergency services section of the parade which recognised the ‘blue-light’ agencies serving the Irish state since its foundation. 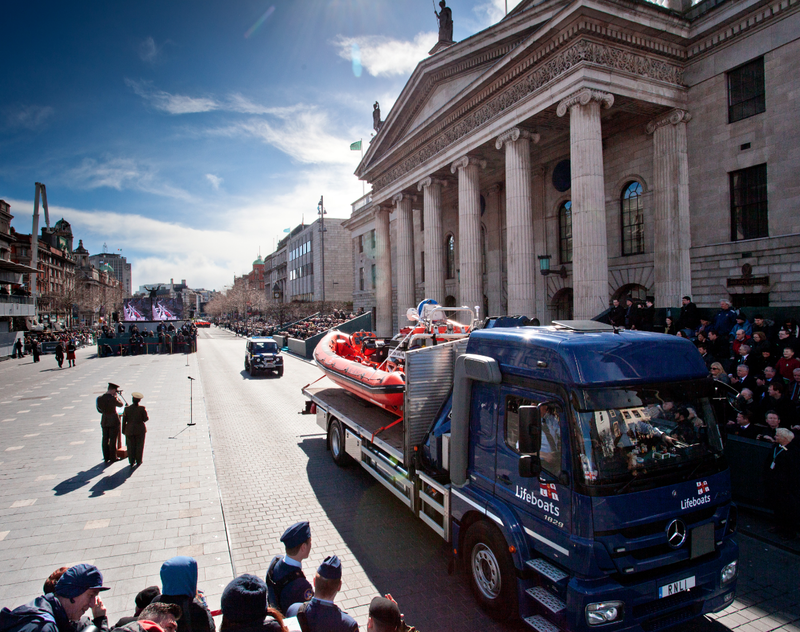 The RNLI contingent was accompanied by a new Atlantic 85 lifeboat, which following its debut in the parade, will be transported to Youghal in Cork to go on operational service, and two RNLI landrovers used in the launching of inshore lifeboats. 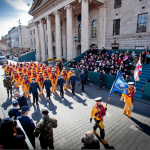 The parade involved over 3,000 participants, largely from the Irish Defence Forces with 793 people from the emergency services. 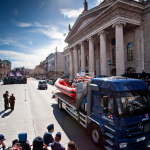 Represented along with the RNLI were An Garda Siochána, Dublin Fire Brigade, the National Ambulance Service, St John Ambulance, Irish Coast Guard and the Civil Defence. 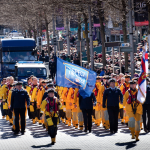 Commenting on the commemoration RNLI Operations Manager Owen Medland said, ‘It is a huge honour for the RNLI to take part in this historic event. 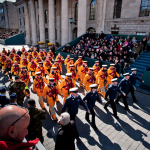 It is an acknowledgement of the role our volunteers have played in saving lives at sea and on inland waters in Ireland since the RNLI was established in Ireland in 1826. 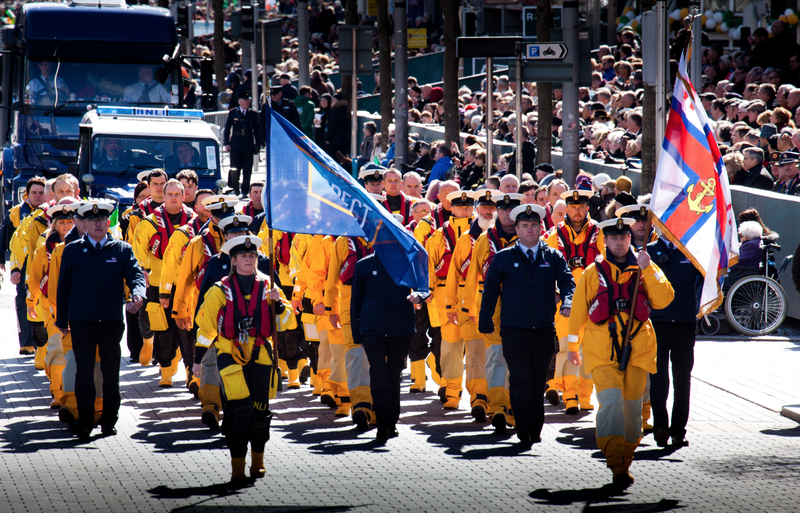 The lifeboat service has been given without any interruption historically and has always put the needs of those in danger on the water above all. 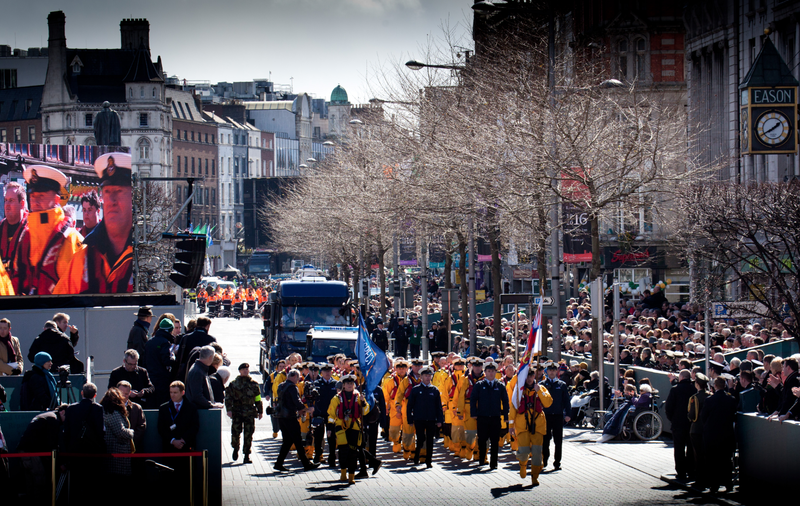 Many of the volunteers taking part had relatives who were involved in the events of 1916 and the following years. 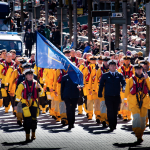 Clifden RNLI volunteer lifeboat Coxswain Alan Pryce is the grand-nephew of Thomas Whelan of Clifden Co. Galway, one of the ‘Forgotten Ten’, who was executed in Mountjoy Prison during the War of Independence in 1921. Clogherhead RNLI Volunteer Shore Crew member Carolyn Stanley is the grand-niece of Joe Stanley who was Pádraig Pearse’s press agent and printer. During the Easter Rising Pádraig Pearse relied on his young press agent, Joe Stanley, to convert his hand written communiques into printed documents for onward circulation throughout the city. It was Joe Stanley who published the First Documents of the newly proclaimed republic. Fethard on Sea RNLI volunteer Deputy Launching Authority and former lifeboat helm Hugh Burke is the nephew of John Fenlon. Following the 1916 rising in Enniscorty John was arrested and locked up in Wexford jail from where he escaped and remained on the run for seven years. 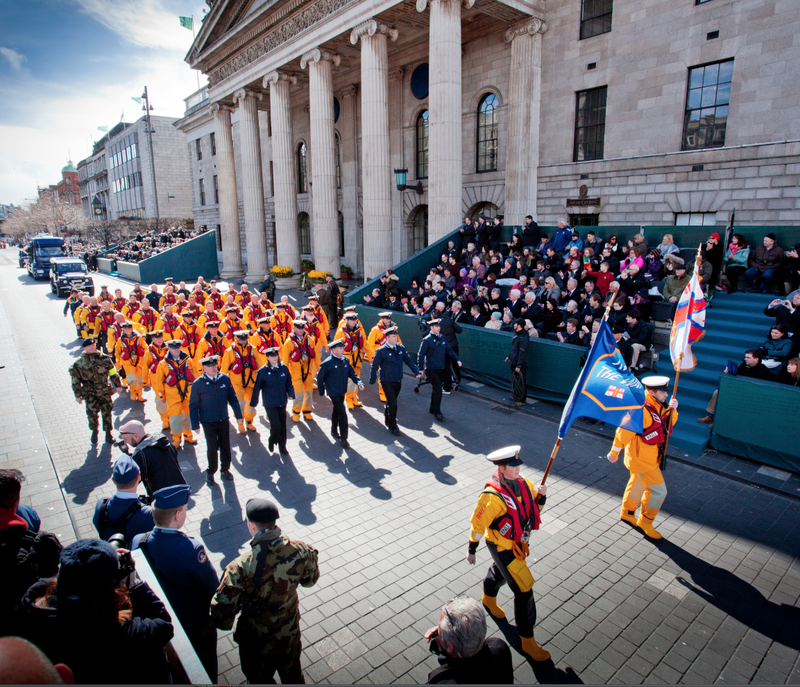 Lifeboat stations represented at the Easter 1916 parade were Achill, Wexford, Arklow, Lough Ree, Howth, Baltimore, Donaghadee, Dun Laoghaire, Dun Laoghaire, Kilmore Quay, Wicklow, Ballyglass, Clifden, Courtmacsherry, Clogherhead, Dunmore East, Bundoran, Helvick Head, Kinsale, Crosshaven, Portaferry, Youghal, Lough Swilly, Kilrush, Fethard, Red Bay, Union Hall, Skerries and Sligo.